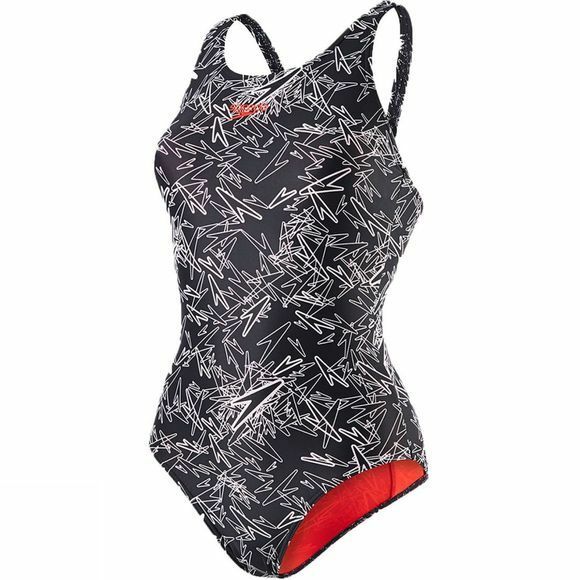 The Women's Boom Allover Muscleback Swimsuit is a stylish one-piece from Speedo that utilises Endurance+ fabric to offer excellent comfort and performance when swimming. It has a racerback with a cut-out section at the lower back to ensure full freedom of movement. The fabric itself is chlorine resistant to ensure it lasts longer with fequent use in swimming pools and it dries quickly so you can always be ready for your next swim.